The best software to help you easily edit your valuable videos with advanced editing tools. VR videos and 360 videos have been popular for the last few years with the releasement of some VR headsets such as HTC Vive, Google Daydream and Oculus Rift. However, to enjoy the immersive virtual reality experience, you may need a VR video player on your Android, iOS, Mac or Windows PC as well as the VR headset. So, in this article, we will show you the steps of how to watch VR videos and 360 videos on PC, and 8 best 360 video players that allow you to enjoy VR video easily. However, in some part, though there are a lot of VR videos available on the internet today, not everyone has tried or already experienced to watch VR video. So, before we proceed to the top 5 VR players, let's check how to watch VR video in a simple and easy way as possible. To start with, a normal windows MAC or PC or a smart phone is needed. For you to hear the sounds of the movie you are watching, you need to have a VR headset depending on what effect you want to best achieve. Choose a VR video player where you can have the movie. VR movie or game- downloads like VR videos from VR video sites also. Once you have downloaded the VR video, you can now find a place where you can choose to watch the movie. Just put your VR headset, start playing the VR video you download using also your best VR video player on your smartphone, PC/ MAC. But before you start, make sure not to forget to put your own earphones on for you to experience the best virtual reality sound and view you want for. While, for those who are want to edit the VR video with a higher level, we highly recommend trying Wondershare Filmora9 to decorate your video footage with the built-in visual effects, filters, overlays, animations and green effects. Besides, you can add royalty free audio to your video. You can also use basic video eidting tools including cutting/triming/spliting. Just download it now to have a try! As what most VR player users know, this VR video player is just a free 360 degree player for Android, IOS, MAC, WINDOWS as well as HTML5. The good thing about this is that, it actually lets the users interact and play with 360 degree videos on their PC. Aside from watching VR movies, you can also watch movies online through connecting only your android and IOS device with your VR headset. Simply, VR player is particularly designed for playing the virtual reality videos and a popular program among Oculus Rift users. For its best features, VR player not only plays VR video, but it also plays 3D/2D videos. However, according to some customer reviews, Oculus Rift DK2 is not anymore recommended for this because it does not track the VR player and its free version is the entry level immersive 360° full HD video player. You don’t need to worry about its price because you can only have it at very cheap price without breaking your bank. This top least of VR video player is actually one of the most known VR video players that is highly recognized and considered by many numbers of VR viewers. This is because of its field of view correction functions and powerful distortion which allow you to enjoy media even your eyes are there in the camera. In addition, the view pitch, field of view and various mapping functions of this this VR player is configurable. As a matter of fact, you can download it free this for Mac and windows so far, but not in a media player for windows 10 at this time. Characteristically, it is a high quality yet free VR video player that actually allows users to experience optimized live action videos either on Mac and Windows. What makes this VR player more interesting is that once you put your VR headset, you can then now immerse yourself in non- linear narratives and soundscapes using this best VR video player. In addition, it can also operate on Android, IOS, MAC OS as well as on Windows 10/8/7. Plus, it can be used for viewing a VR Video on web, making it more interesting to use. At a very cheap price, you will for sure have it. 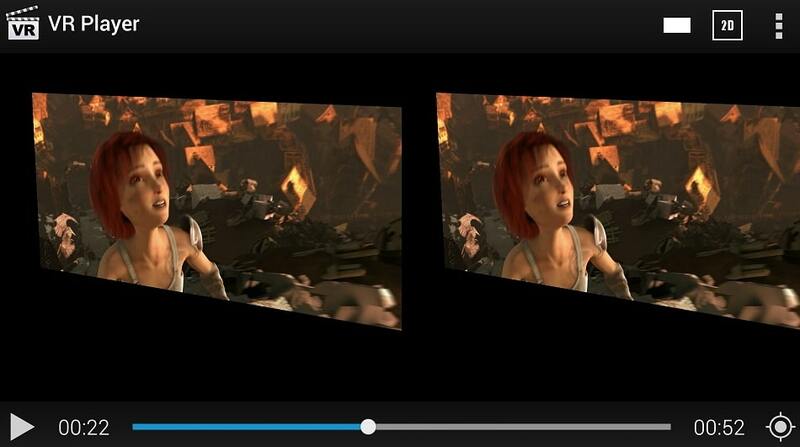 RiftMax is actually more than a VR video player, in which it can play 360° videos. With this, you are allowed to interact with your friends like participating in a party or share movie with them even they are in a far distance or miles away. Aside from that, RiftMax also enhances video with good effects that come out of the screen. The best thing about SKYBOX VR Video Player is that it can help you recognize video format automatically when you play the VR video. No matter it is 180/360/2D/3D video, it always can set the right format. It also supports 4K video. You can stream video in the same network. It is totally free to use. If you have a rift, this VR video player can freely support it. Don't worry! You can use this VR player to create immersive watching experience. If you are watch a foreign movie, you also can load subtitles, which is very convenient for laguage learner. It also supports 4K video playback. If you don't want to download video first, you can open a video from YouTube and Dropbox url, so you device's storage is always usable. Just choose this one to start VR playback. You may think Opera is just a browser, but in fact, you can also use it to watch VR player. Just plug in your headsets to start playing VR video. No need to download any third party software. After you open a video, Opera VR Player will play it in the right format automatically. You also don't need to activate VR settings. If you ar already using Opera browser, you can give it a try. These are the VR player that we found, some of them are free to use. Let's us know how do you watch your vr videos on pc in the comment below. If you want to record a vr video, we highly recommend that you should try Filmora scrn Screen Recorder Software based on its features like recording a full screen or a fixed region of your PC screen, adding a Marker during recording, recording up to 120FPS. What's more, you can record multiple screen on your computer as well as recording the webcam. Thanks for sharing this. 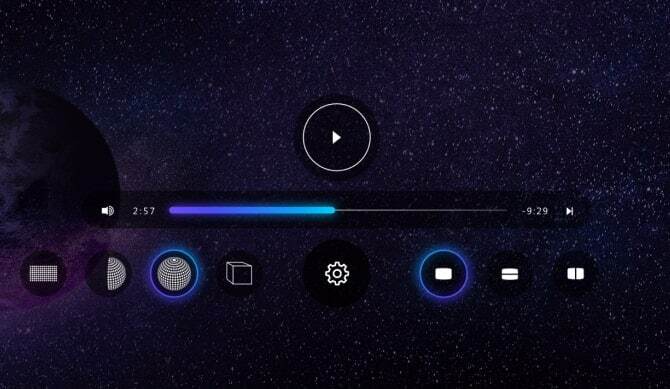 We've also written a blog about the best 12 VR/360 media players not only for PC, also some for Android, iOS https://veer.tv/blog/best-12-vr360-media-players-for-android-ios-and-desktop/. Maybe this can add some value for your post.